Web 2.0 is a term that is used to describe the 2nd generation of the web that focuses on collaboration and evolution of the internet. Wikipedia describes Web 2.0 as a, "site that allows users to interact and collaborate with each other in a social media dialogue as consumers of user-generated content in a virtual community, in contrast to websites where users (prosumers) are limited to the active viewing of content that they created and controlled. Examples of Web 2.0 include social networking sites, blogs, wikis, video sharing sites, hosted services, web applications, mashups and folksonomies." Google/Gaggle - Google Apps are some of the most popular services for document creation and collaboration. Also, the suite of tools that Google Apps covers is quite abundant such as: web page creation, groups, spreadsheets, etc. Gaggle has a great suite of filtered tools (check out their collaboration w/ Zoho) to make ideal for education. Gaggle allows for filtered blogging, chatting, messaging boards, and filtered videos in You Tube, etc. Edmodo - A wonderful free site that creates an educational environment for students that focuses on skills such as blogging and collaboration. Glogster - A great multi-media site for creating interactive posters that can be viewed online. Plus, student accounts can be created by an educator w/out the need of a student email!! Voice Thread - One of the most popular web 2.0 sites around. An ideal site for creating interactive presentations/slide shows. Myths & Legends - A free site that is wonderful for digital storytelling. All a teacher has to do is get approval from a school administrator to sign a school up for this great service!! Animoto - Create dynamic slide shows w/ one of the most popular slide show creators on the web!! Mixbook - A great way to create a safe & secure environment for students to create online or real books (for order). Prezi - The evolution of presentations has arrived w/ this zoomable presentation creator. Also, there is an educational portal in the works. Aviary Education - A safe secure way that offers a lot of different services for students such as: photo editor, audio editor, and movie creator. Diigo - An ideal site for social bookmarking that allows teachers to create student account for sharing and annotating links. Weebly - A fantastic site for creating a student or teacher websites w/ the ability to blog. ToonDoo Spaces - One of the best online comic creators that allows for student accounts. Kidblog - One of the top ways for students to create blogs in a safe environment. Primary Access - A nice site for digital story telling that allows students to use a variety of different resources such as video, audio, photos, etc. Zoho Wiki - Similar to Google Apps, this online suite offers a secure way for students to create docs and share. Kerpoof - A multi-media site for creating stories, games, lessons, etc. Zimmertwins - A fun site for digital storytelling that is done by creating one student account for a class. SymbalooEdu - A great visual way for teachers to share sites and resources w/ students. Pixton - An excellent way to create online digital comics that is moderated by a teacher. Zunal - A fantastic webquest creator for teachers. Alice Storytelling - One of the best ways to learn about the basics of programming as well as digital storytelling (a free pc download). Story Jumper - A great way for students to create real or online stories and then have the ability to order a book. Storybird - A fun site for collaborative and digital storytelling. Magic Studio - A wonderful site for teachers to share multimedia resources w/ students. Museum Box - A great historical site for teachers and students to create multimedia projects. Soon to follow is a free slide show on the Top 25 Web 2.o sites!!! very interesting. Here we inform our website(Spanish) to take note that. Thanks for these links, but the link to Museum Box doesn't work... bye! This is a great list. Prezi is one of the new interactive online presentation platform tools for social media, live feeds and videos. People are increasingly indicating that they want to see the presenter rather than just listening to them over a bridge line. Thanks for sharing your resources. You described many information in one post. Great work. This is very much useful for people who are interested to learn more information. Thanks for sharing. You have shown very good informations. For FREE Essay you can follow this blog. It is ranking at the top page of the google search engine. Great list, it's really amazing how education has evolved along with the internet. Just a few years ago people were still learning out of books! (maybe they still do that?) haha. We can only hope that Internet Marketing Companies don't start getting their hands into these great academic resources. Thanks! Hi, I like your web 2.0 sites. one thing that attracted me is your teachers section. this is a very unique idea. thanks for sharing this blog with us. i really like your web 2.0 design. I was creating education website, I was searching for which one is the best I started searching on google, I found your blog in goodle, really nice content. "Thoughts of a Cyber Hero" your great article inspire me. Thanks. Do you have spending time? please visit my blog and comment to my post. It's a world news portal site where trending news, entertainment, technology and many other news are available. Hi, ZooWhiz http://www.zoowhiz.com is all new and would be a great addition to your listing. It is FREE and covers math, reading, spelling, punctuation, grammar and more for kids aged 5 - 15. It s highly motivational, curriculum correlated and growing in popularity rapidly. Great list! Academic Room (www.academicroom.com) is another next generation social platform for academics. Academic Room’s mission is to democratize access to scholarly resources, which are organized in over 10,000 academic sub-disciplines. 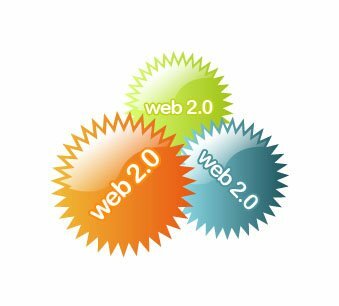 Web 2.0 is a term that is used to describe the 2nd generation of the web that focuses on collaboration and evolution of the internet.